Plus, NAREIT rolls out three quarterly performance measures for equity REITs, and Forethought introduces a variable annuity. New ETFs and other funds continue to come to market in 2015. New products and changes introduced over the last week include a REIT tracker series from NAREIT; an ETF from Elkhorn Investments; an ETF from Global X; and four ETFs from Direxion. Also, Assured SKCG and CIGNA Health Plans introduced a PEO platform for the hedge fund industry; Forethought added a variable annuity; Fox Financial Planning Network added a training program; and FJC Partners has launched a Web-based application for running hedge fund operations. Global X Funds has announced the launch of the Global X YieldCo Index ETF (YLCO). YLCO seeks to provide investors with access to YieldCos, an emerging asset class of yield vehicles that are structured to deliver stable and growing dividend income derived from a portfolio of renewable energy assets. Direxion Investments has announced the addition of four daily leveraged ETFs. The Direxion Daily S&P Biotech Bull and Bear 3X Shares (LABU, LABD) seek to achieve 300%, or 300% of the inverse, of the daily performance of the S&P Biotechnology Select Industry Index. The Direxion Daily S&P Oil & Gas Exploration & Production Bull and Bear 3X Shares (GUSH, DRIP) seek to achieve 300%, or 300% of the inverse, of the daily performance of the S&P Oil & Gas Exploration & Production (or E&P) Select Industry Index. Elkhorn Investments, LLC has announced the addition of the Elkhorn S&P 500 Capital Expenditures ETF (CAPX). CAPX seeks to track the performance of the S&P 500 Capex Efficiency Index, which is designed to provide exposure to the 100 constituents of the S&P 500 that have exhibited the strongest capital discipline, in the form of efficient capital expenditures, over the near term. The index focuses on capex efficiency, not just capex spending levels, providing exposure to stocks that have maximized sales per unit of capital expenditures. The National Association of Real Estate Investment Trusts (NAREIT) has announced the launch of the Total REIT Industry Tracker Series (NAREIT T-Tracker), a quarterly composite performance measure of the U.S. stock exchange-listed REIT industry. 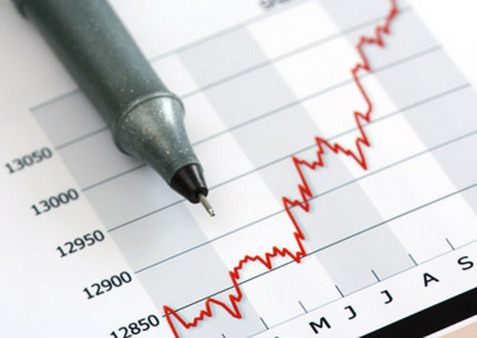 The series includes three key REIT industry measures: the NAREIT FFO Tracker, which monitors funds from operations for all listed equity REITs; the NAREIT NOI Tracker, which reports net operating income for all listed equity REITs; and the NAREIT Dividend Tracker, which tallies the dividends paid to shareholders by all listed equity and mortgage REITs. Forethought Life Insurance Company has announced the launch of the ForeRetirement III variable annuity. ForeRetirement III offers four daily withdrawal benefit options, an expanded investment platform and enhanced flexibility in balancing guarantees and growth potential. Fox Financial Planning Network has announced the launch of AdvisorTouch Symphony, a step-by-step training program to help financial advisory firms combine robotechnology with practice management. Advisory firms that utilize the program will receive access to resources and support designed to guide them step-by-step through leveraging robo technology for the greatest ROI according to their own business model. The program is available to financial advisory firms, RIAs, custodians and broker-dealers. Assured SKCG, Inc. has joined with CIGNA Health Plans to launch a professional employer organization (PEO) platform for the hedge fund industry. The platform is a tailored PEO solution that enables small and emerging hedge fund firms to outsource human resources, payroll and employee benefits management while addressing the compliance requirements resulting from Affordable Care Act (ACA) regulations. FJC Partners, Inc. has announced the launch of OpsCheck, a Web-based application aimed at managing and warehousing all business operational tasks for hedge funds. OpsCheck was developed to centralize, manage and warehouse all of the tasks that support business operations for alternative investment firms. The application is fully customizable and a tool for hedge funds at every stage of development. Read the May 24 Portfolio Products Roundup at ThinkAdvisor.